As a continued effort to keep my readers and everyone in the industry abroad informed and educated, BPI Security is constantly reaching out beyond the surface to contact and interview America’s finest Tier-1 operators and others that have “DONE” it at the Highest Levels. 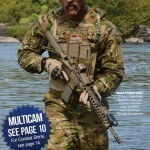 In the past I have interviewed, “The father of modern day Executive Protection-Chuck Vance, former member of the United Secret Service PPD – Larry Cunningham, the industry’s EXPERT on protecting high net-worth individuals – Dr. Paul Viollis and retired United States Navy SEAL and member of the Elite Unit DevGru [aka SEAL Team VI]- Craig “Sawman” Sawyer. Today is NO different. Each of the listed warriors have paid more than their debt to our country in their own respective disciplines but as I researched all of their backgrounds I was drawn to one specific Operator – Dale Comstock. 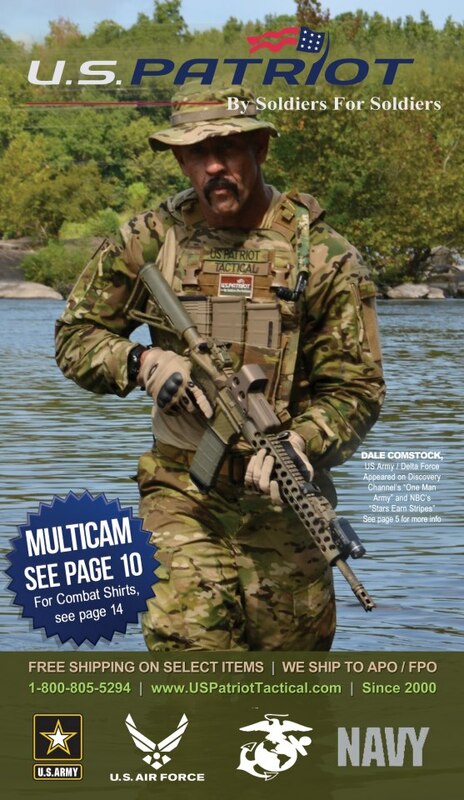 I read other interviews and listened to an in-depth SOFREP podcast interview by Brandon Webb (Navy SEAL) of Dale Comstock and found that he enlisted in the United States Army right out of high school directly into the 82nd Airborne Division. One of the funniest lines during this interview of Dale was when this he stated that as a young private his 82nd Airborne platoon was conducting some training in the woods of Ft. Bragg when he saw a guy running through the woods wearing jeans, jungle boots a ruck sack and long hair. He asked the soldier next to him, “Who in the hell is that?” The soldier responded, “You know who that is….that’s the DELTA Force. That was Dale’s first experience and exposure with the UNIT. As Dale’s military commitment was nearing its end he was at a crossroads as to what he wanted to do. He felt that he was a good grunt but didn’t really feel the challenge. He received a letter from the Unit stating that he had met all the prerequisites for selection. Dale entered the Unit at 23 years of age [youngest at the time]. It was unusual for anyone to go into Delta from the 82nd as most of the Unit members had already attended Ranger School or were Green Berets. Dale’s journey was different. After completing OTC [Operator training course] his command felt that it would be good for him to get more experience so he attended the 18 Bravo – light/heavy weapon Sergeants course as a member of Delta. One of the highlights of Dale’s career occurred when he was on staff duty after sustaining a flash-bang injury to the back of his leg. Dale stated that he received a call from JSOC that Operation “Big Spoon” was in effect. His troop commander told him that he had trained for this moment and wanted to know if he wanted to go. 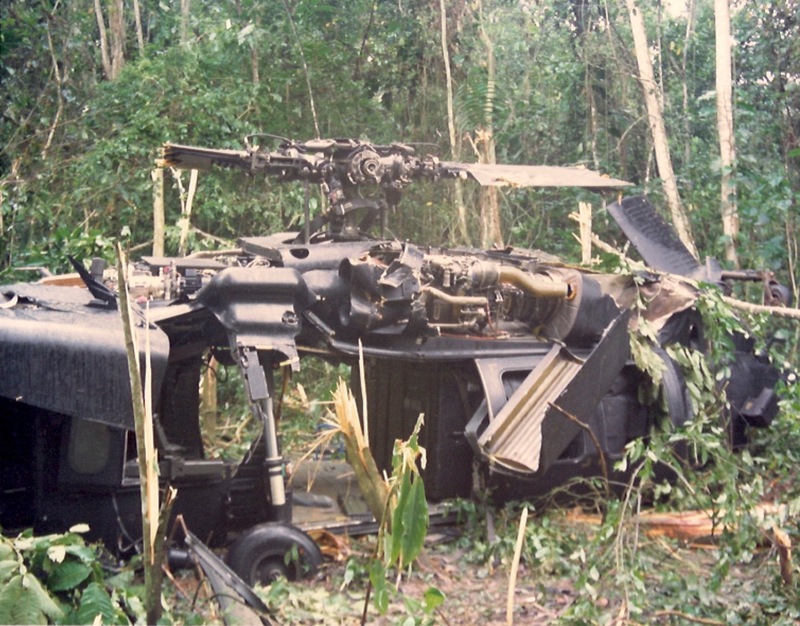 Dale’s response was a simple, “Hell YEA!” So as an injured Unit member with 15 stitches in the back of his leg he deployed on Operation “Just Cause”, the FIRST successful hostage rescue mission in US military history. 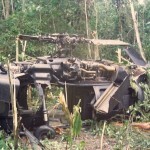 It was the rescue of American Kurt Muse in Panama. Dale said that as the breacher for this mission, his only work-up or training for this specific operation was -ON TARGET. Dale spent 10 years in the Unit and ended his military career with the 3rd Special Forces Group (Green Beret). I sorted through my network of contacts to reach out to Dale Comstock. I asked if he would be amenable to the BPI Security blog interview. Over and over I was told the same thing – YES. I contacted Dale and within a day he responded and said that he would gladly participate in the interview. I did NOT want to make this an interview about Stars earn Stripes nor did I want to make it another delivery of double tapping and transition drills that are saturating the web. I did not want you to hear from just another person that has done “It” at the highest levels but someone that has done it “ALL” at the highest levels. I wanted Dale to address the Combat Mindset and its importance. 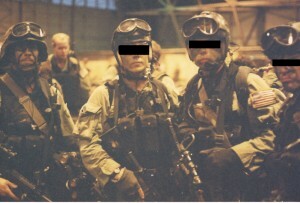 Moreover, as I receive weekly emails and calls from specialists that are still intrigued about transitioning from the corporate, private or independent side of protection into the high threat environment or PSD side, it seemed more prudent to ask another professional that has done it, been shot at doing it, suffered injuries doing it and continues to provide services in that environment. In my constant attempt to continue to provide you with the next level of information I am pleased to introduce to you The American BADASS – Dr. Dale Comstock. Dr. Dale Comstock is the Vice President for Intrepid Global Security Solution’s, Inc. Critical Infrastructure Protection Division. Dale regularly works as a contract security specialist applying his skills and knowledge on myriad of security challenges around the world for various clients. 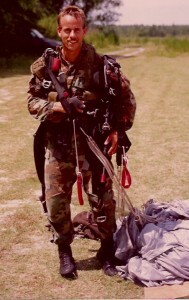 Dale retired from the U.S. Army in August of 2001, after serving 5 years in the 3rd Special Forces Group (Green Beret) as the Senior NCO on an A-Team; 10 years with the 1st Special Forces Operational Detachment – Delta (The Delta Force) as an assault Team Leader and Explosives Expert; he served 4 years with the 82nd Airborne Division as an Airborne Infantryman in a Long Range Reconnaissance Platoon; and he served 9 years as a Security Advisor in Afghanistan and Iraq in support of the Global War on Terror (GWOT). 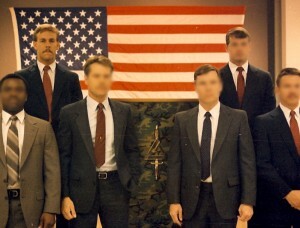 Baccalaureates in Education – Liberty University, Lynchburg Va.
AWARDS/HONORS: Bronze Star with “V” device (For Valor), Joint Service Commendation Medal with “V” device (For Valor), Defense Meritorious Service Medal, Meritorious Service Medal (3 awards), Army Commendation Medal (3 awards), Joint Service Achievement Medal, Armed Forces Expeditionary Medal w/ Spearhead device (3 awards), Southwest Asia Service Medal with Bronze Service Star (2 awards), Kuwait Liberation Medal, Saudi Arabian-Kuwait Liberation Medal, Combat Infantry Badge, Expert Infantry Badge, Master Parachute Badge, Special Forces Tab. Dale is 49 years old and married to Miroslava Comstock who was born and raised in Panama; and, he has four children and one grandson. His father was a 20-year Army vet that served in Viet Nam and Dale’s son is currently undergoing training to become a Green Beret medic. He is of German decent and was raised in Germany until he became a teenager. He speaks fluent German, and has a working knowledge of Spanish and Portuguese. His hobbies and interests include professional K-9 training, MMA, and body building. Dale was a former professional boxer while in the Army. He fought in the first sanctioned Vale Tudo (anything goes) match in the U.S. in Richmond Virginia, and he holds black belts in Jiu Jitsu and American karate. 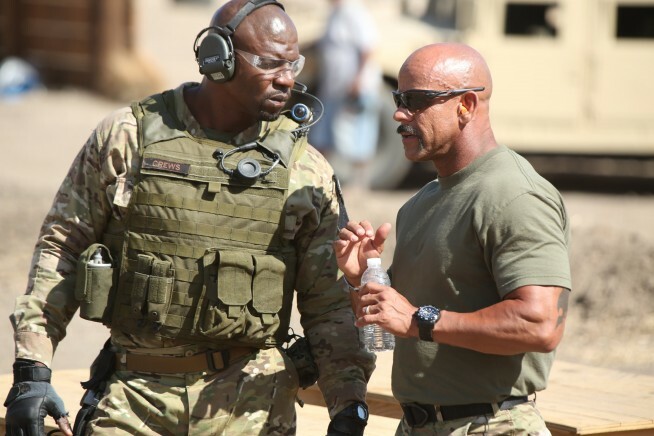 He was responsible for developing the combatives program in Delta’s Operator Training Course and for writing the Hand Combat manual for 3rd Special Forces Grp, which became the basis for the Army wide hand combat program. Along with his wife and son he also is an amateur body builder in the heavy weight Masters category. All three compete together and use body building as a means for staying healthy and viable in their lines of work and daily lives. 1-Your Company Intrepid Global Security Solutions provides an array of security services. Are you involved in training or operational support in the PSD platform? Comstock: Yes, we do provide protective services along with medical training for various clients that go to high-risk areas in the world. Many of us in company have combat PSD experience and experience providing executive and diplomatic security. I will note here that conducting a PSD operation in Baghdad is much different than running a protective detail say in Colombia or Los Angeles. 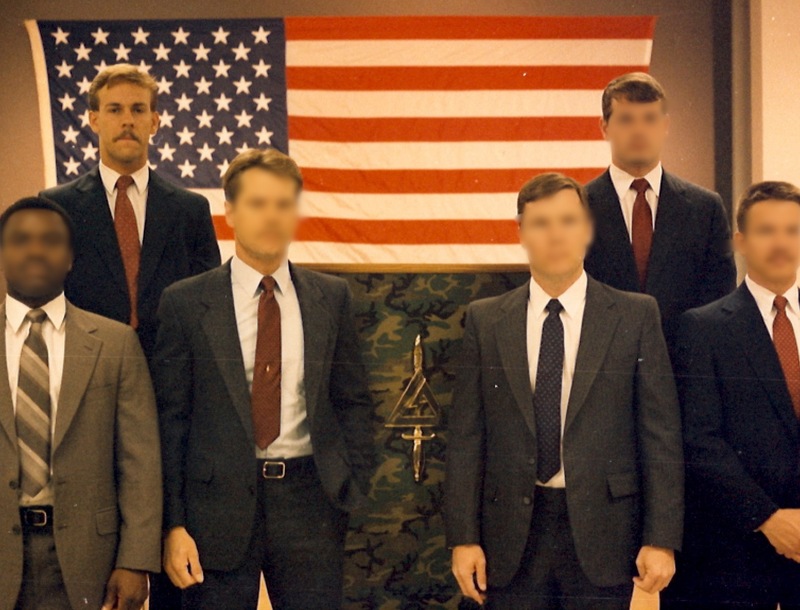 2-The industry is saturated by former members of the Unit: Paul Howe, Larry Vickers, Tim & Scott Spooner, James Reese, you and others. You have a Post Graduate Degree in Alternative Medicines and Therapies. Your educational dexterity could allow you to choose another career. Does the Warrior Mindset still dictate your decisions even years after your career as an operator? Comstock: Once a warrior always a warrior. It is what I am good at and all that I have known since I was born. I was born into and raised in the military culture – it was what I was most familiar and comfortable with. When my father retired and we moved to the bay area of San Francisco, I couldn’t wait get back to the Army life fast enough. You talk about a culture shock! I think that Paul, Larry, me, and the rest of the family stay in this line of work because we have special talents and skills that are in demand and not derived too easily except through the experiences and training that we underwent. Comstock: Yes, I ran or been a part of several protective details up to presidential level. I conducted full spectrum training for two years in executive protection to include motorcades, CAT teams, advances, operations and communications, etc. I protected individuals by myself and I have protected families with a detail of 50 personnel or more. I am well versed in this art and smart enough to know what I don’t know. You have to be a perpetual student of this craft, or any, to truly be good at it…I am always learning. 4-There is a huge desire for individuals working corporate, dignitary or celebrity executive protection in the security sector to work PSD details in non-permissive environments. Many of these individuals have no military experience. Based on your illustrious Tier-1 career and 9 years as a Security Advisor in Afghanistan and Iraq in support of the Global War on Terror, can you explain the mindset that is needed that cannot be taught in the civilian sector? Comstock: Unfortunately, most of us have seen where guys that came from the civilian world of PSD thought that were qualified to do the same job in Iraq or Afghanistan and then were handed their butts or killed because they lacked the experience and tactical mind set needed to operate in a combined PSD-paramilitary operation. I think what is needed is tactical mindset, knowledge of enemy TTPs, and enemy weapon’s capabilities. I ran into a group of PSD guys and gals in Afghanistan that came to our range to practice marksmanship training. Actually, I think the guys were trying to impress the girls with their vast “imaginative” tactical and weapons knowledge. As we started to have a friendly conversation on the range, we talked about the up-armored suburban that they were driving. One of the guys duly pointed out to me that the girls had nothing to fear, because the vehicle’s armor could stop an RPG. Unless that vehicle was rapped in 13+ inches thick of homogenized steel, it wasn’t going to stop an RPG and probably not even 7.62mm AP. But these amateurs were convinced that they were safe driving the streets of Kabul while encapsulated in this RPG proof cocoon on wheels. It wasn’t too much longer after I left the range that they managed to negligently shoot a few holes in their vehicle, while practicing immediate action drills. So what is the point: They didn’t know their equipment’s limitations, or realize their lack of experience and safety in handling their own firearms; they didn’t understand the enemy’s weapons (RPG) Capabilities; and clearly they didn’t take their jobs or lives seriously enough to learn all that they could to effectively do their jobs and protect each other. 5-Do you feel that there are any advantages that former military personnel have over civilian personnel when it comes to protection in high threat environments? Comstock: Yes, one’s military training better prepares you for the mission and enables better team work. 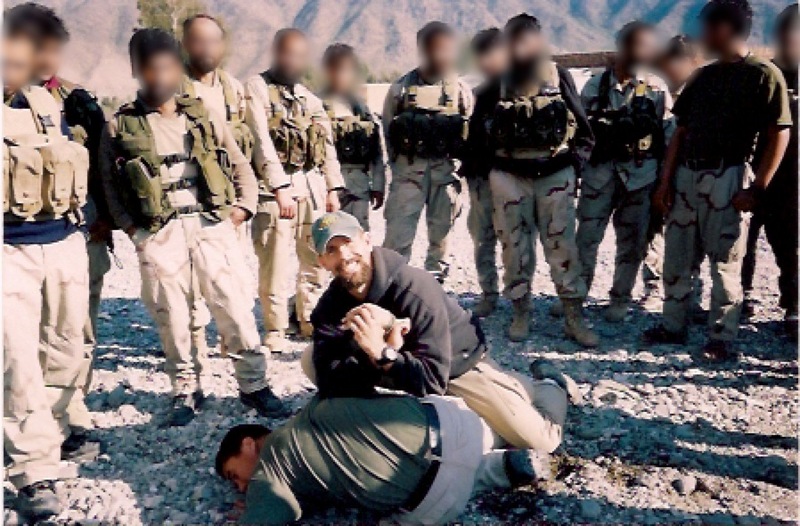 I was training a group of Americans to conduct high-risk personal protection in Iraq. One individual was an excellent marksman, very adaptive heads-up kind of guy. He was what seemed like a solid operator that is until we conducted live tissue training on pigs. He could not cope with the blood and gore to the point that he couldn’t hold a scapula steady to cut the pig without injuring himself. He vomited everywhere and finally just fell out. Unfortunately, I couldn’t use a guy like that. What if he had to stop a bleeder on you and me? I guess we would die as he watched and vomited. 6-In your personal opinion is that mindset innate in a person or is that something that one acquires over time through exposure? Comstock: I think mindset is something that is developed over time. Through training and experiential learning one’s ability to analyze, cope, and ultimately execute the required action is developed. Hence, I think military training better prepares your for the PSD mission in non-permissive environments. 7-Bear with me on this question, but if a client asked you to put together a PSD team to operate in a non-permissive environment, but you were told that the team had to consist of individuals with no previous military background. What would you look for in your vetting process? Comstock: I would look for guys that have experience already in any kind of PSD capacity. I would look for team players, yet guys that can act in the absence of orders. They would have to possess effective intelligence (common sense and problem solving ability); be adaptive and fast learners, and in good shape. In regards to the latter, I believe one’s exterior is a projection of their interior. If you look like a dirt-bag on the outside, you’re probably one on the inside. 8-Same question as above but no restrictions on where you could pull your assets from, what would be your preference and why? Comstock: I would prefer guys that are experienced in non-permissive PSD ops; and, with a strong military background. All of the other traits mentioned in line 6 apply. 9-You very immersed in fitness, nutrition, competitions and an overall healthy lifestyle. Was this a result of the influences of your previous career where you still had a drive keep yourself in “fighting” shape? Comstock: I have always been an athlete, even as a child. The military, and especially SpecOps have reinforced that desire and need to stay in shape. I believe in being the consummate warrior – intelligent, effective, tactically and technically sound, and in shape. I believe that I am a soldier for life, even though I am retired. When I was a soldier, and to this day, I was and still am a perpetual student. Moreover, I was a soldier 24/7 and not 8 to 5PM. Because I am retired doesn’t mean I shouldn’t live by the warrior ethos. I am soldier by birth… I am soldier until death. 10-I am pretty sure that you can’t just turn off that “Operator” inside you. Well maybe when you’re playing with your grandchild. I also read an interview you did with Dalton Fury where you said you felt you could still “Kit up” and go down range. Do you still hit the range to keep your skills up? Comstock: I am as capable today as I was 20 years ago to go down range and slug it out with the best. My last deployment to combat was a year and a half ago – I was 47. I led a company plus element of 20 year olds into combat and often humped the mountains for hours on point. My men never had to worry about me falling behind or running out of gas. In fact, I could walk all of them into the dirt and I always led them to the fight and was first to the breach point. 11-Are there and final recommendations or any pearls of wisdom you’d like to leave the specialists in the industry with? Comstock: You are only as good as you are today. Tomorrow your experience and knowledge will be dated. Learn and update your skills, adapt to the changing threat, mission, environment, friendly situation, and ask yourself what can you do better tomorrow that will ensure mission success and bring you and your men home alive. First and foremost, thank you sir for your service to our country, our people, and our future. Your personal and professional endeavors far exceed the expectations of what I consider to be that of the average person. To call you a role model would be an understatement for what you have accomplished and humbly shared and taught others. THANK YOU for granting Eric this interview and THANK YOU Eric for sharing it. Here are my thoughts: “i am soldier by birth… I am soldier until death.” Living the warrior ethos day by day, month by month, year by year will trully set one apart as an operator from my personal experience. It’s ones duty to NEVER ever become complacent for the men and women one serves next to, in charge of, or the people that love you the most (family). Complacency kills. They are the ones that count on you to be operational and as we can see from this interview, Mr. Comstock was OUTDOING twenty years olds at 47! If that doesn’t pump anyone up to change their mindset on how they operate or just live their everyday life then I don’t know what will! Mr. Comstock you mention that you perfer an operator who has experience in non permissive PSD ops . For those individuals who don’t have or do have a strong military background yet no experience in non permissive PSD ops….. what do you, and Eric please provide your input as well, suggest that a person with the right warrior MINDSET, passion, integrity, self sacrafice, and the coping skills to operate with blood and gore must DO to be put on a detail or attain experience of that caliber? Would you ever take a chance on a person that wants the opportunity to operate and live in that enviroment so bad but still have a strong foundation to trust him/her from their own experiences? who, say, will work for free to learn from the best operators in the field because this is what he/she wants to do?!?! “your NETWORTH is only good as your NETWORK” Eric Konohia. Input is highly appreciated. I am a BIG family man, i appreciate the fact that your’re able to still find something in common with your family and still spend time with them doing something you all enjoy. Its really great to know that its still possible to have a “normal” family life despite the fact that you have gone through experiences that have changed or hinder others from having a close bond with their loved ones. Eric, you have done it once again, sir; I thoroughly enjoyed this read. No blog necessary until 2013 after this one. Great questions and comments LT. When I said that I preferred men with experience in Non-permissive environment PSD experience, I was thinking about selecting guys for a PSD mission in that environment only. Now, if I had time to thoroughly assess a candidate, I would consider a guy/gal that had all of those traits you mentioned. The truth is that I would prefer a quick learner that has the determination of a pit bull over a mediocre hump that has had a few real missions under is armored vest. Moreover, I believe that with my personality and leadership I can train, lead, and deploy an all-star capability, regardless of experience. The good news and bad news is that I don’t think that guys who only have combat psd experience can effectively operate in a civilian executive or diplomatic capacity. That is another animal with additional operational needs i.e. advance work, extensive travel by other means such as commercial aircraft, boats, trains etc, and other logistical issues related to civilian travel. Thanks for responding to Castro’s comment. The blog interview is getting rave reviews on the other social media outlets. I got personal message from a personal friend who was with 5th group last night who said that the mindset concept for the interview was addressed very well by you. There you have it Ladies and Gentlemen! Up close and personal with Dr. Comstock. Shedding light on what he and many more operators are looking for in an individual. Not only that, but he also wrote on a very touchy subject that many Executive Protection Specialist and Operators feel the same about. The NOT Being able to effectivley operate in a the executive/dipolmatic world because of just having PSD experience or vice versa subject. Eric has a very impressive article on this particular subject matter that EVERYONE should check out. I had the great honor of hearing his thoughts on this subject in a HIGHLY recognized EP course given by Mark Fair. My thoughts on this subject: Can there ever be a true HYBRID? Someone who can fluctuate between level 1 and 10 of their “danger zone” sight picture and actually be trusted to maintain their composure. A PITPULL but also an EXECUTIVE. Anyone up for the challenge? I know i’ll be the Guinea Pig. Send me. Thank you for answering my questions Dale. It’s people like you and Eric, who are beyond humble and selfless to your perspective communities and your professions of expertise, that most individuals, if not all, in the CRAFT aspire to be. Thank you for the inspiration and motivation gentlemen. Hope to be instructed by you on day Dale or AT LEAST ruck up with you. Ready when you are Dr. I wish I could share the other comments that were sent to me offline. I will respect that they sent them to me to remain anonymous for whatever reason. But the overwhelming consensus was that this was THE interview.